Problem. 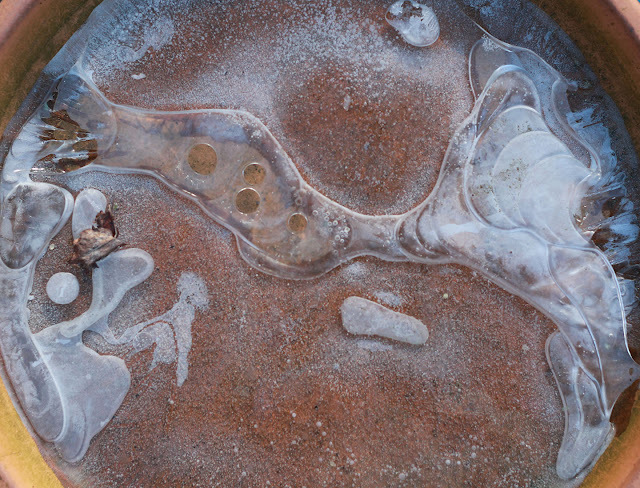 Frozen birdbath every day. The birds come and look, and fly away again. So I go out with hot water and pour it in, and it smokes as it melts the ice. Then the birds come back and drink, and bathe. After half an hour it begins to freeze again, so the squirrel drinks from a hole. Then I pour on some more hot water. Are those sunflowers seeds, over there? You have such pretty birds. The Seattle bird's are all gray, off-gray and brown. Even the hummingbirds are brown. It is fun to watch them squabble over the bird feeders. In that first cardinal photo, you got that one little bird on the left just tucking his wings and extending his feet to land. I suppose it was by accident but it's a great shot! 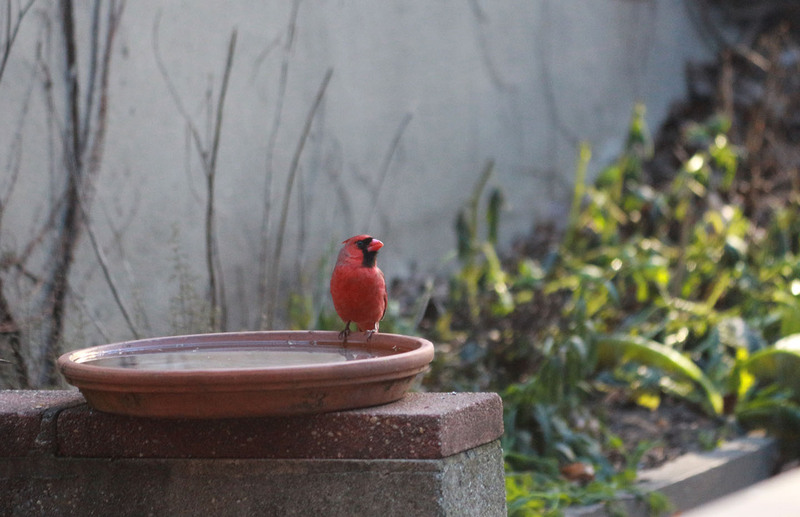 I think solar powered heated birdbaths are available. 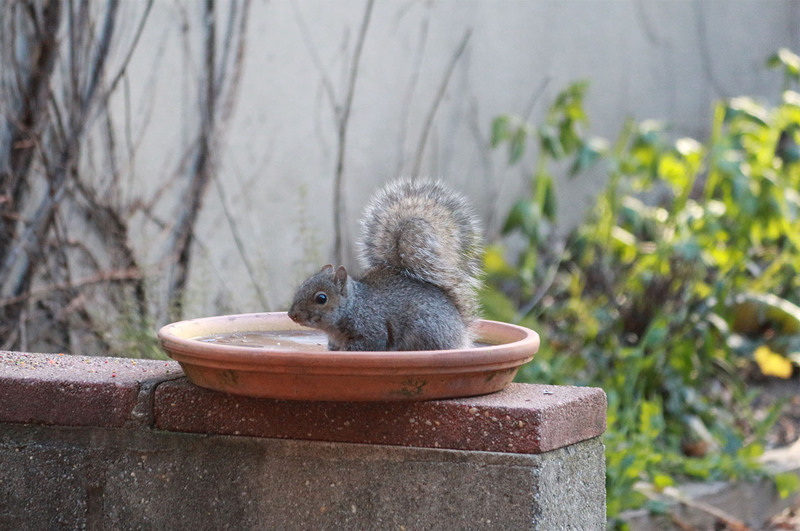 We had an electric heated one--deep and the bluejays would splash and splash as they cleaned themselves off and then fluffed and dried nearby. 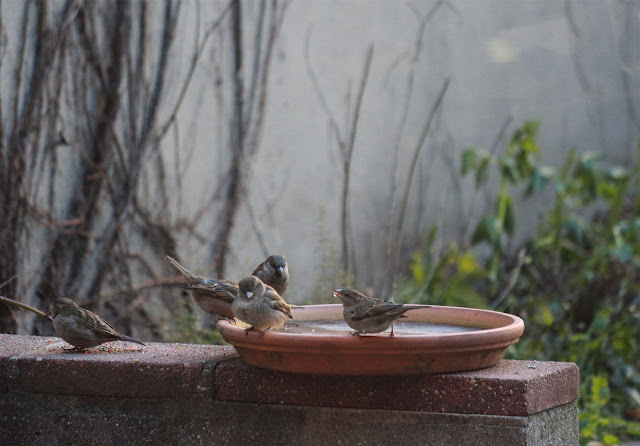 I had to refill with water several times so all the birds got a good bath. What terrific photos! My birdbath is drained and flipped over for the deep freeze but the creek on my property is still running so the birds are ok for now. 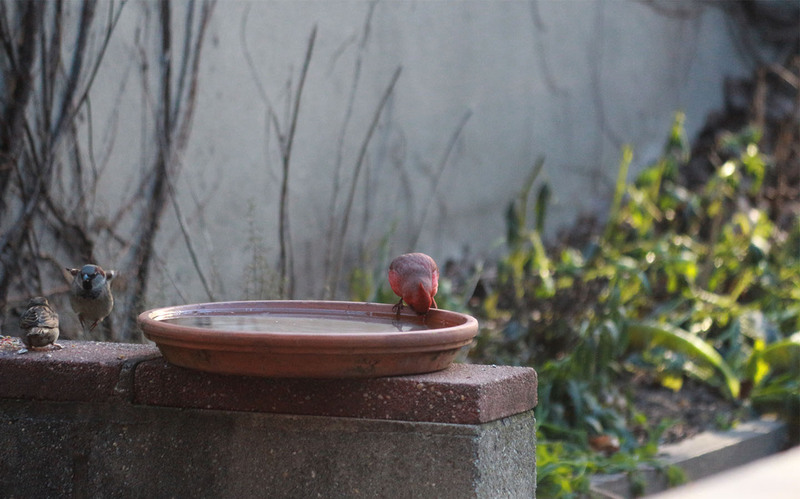 I used to use a birdbath heater at my old place but it bit the dust and I never replaced it. 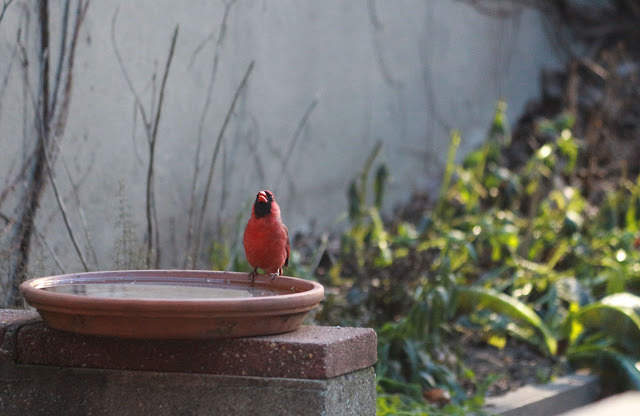 I love your cardinal - they don't come to my feeders at my new house, or at least I haven't spotted one yet! Remember ... the critters own you! I love the idea of a birdbath, steaming. Thanks for a fun entry, Marie, and a Happy Verdant New Year to you and Beence.